Some basketball statisticians have found that teams have lower shooting percentages here than when they play in other arenas. 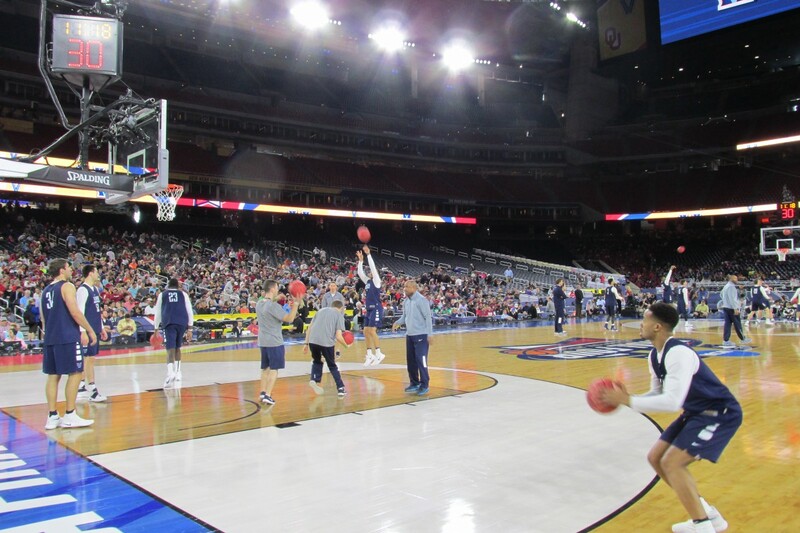 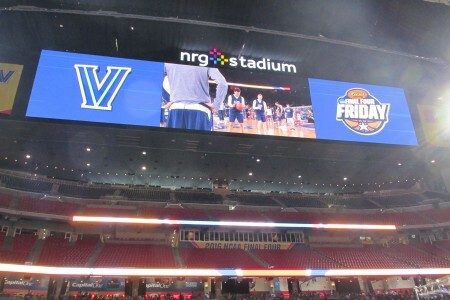 Thousands of fans filled the seats at NRG Stadium, as the Villanova University basketball team was shooting around Friday afternoon. NRG stadium is normally a football stadium, which means it’s a whole lot bigger than a basketball arena. They call this the NRG effect. 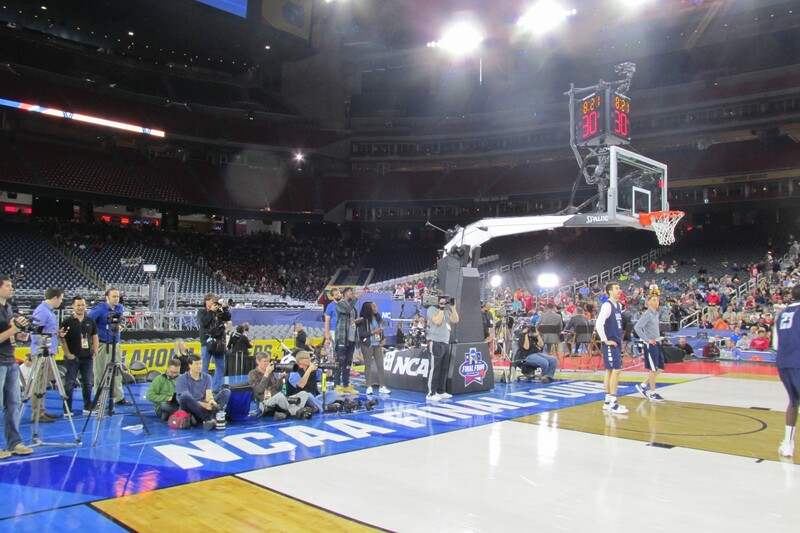 It especially drew attention when the last Final Four was held here in 2011. 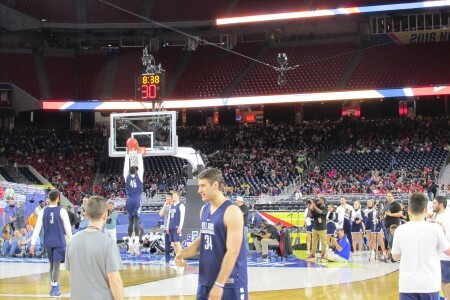 In the championship game, Butler University shot only 12-of-64 from the field. 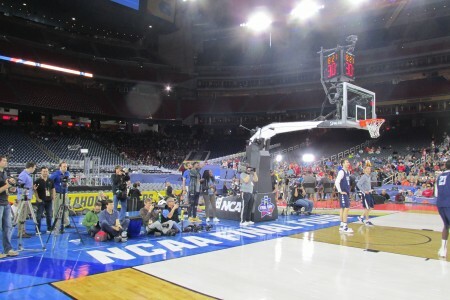 This may have to do with the different depth perspective in a large stadium, where the audience is farther away from the court. 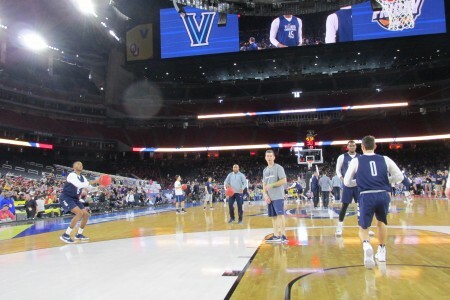 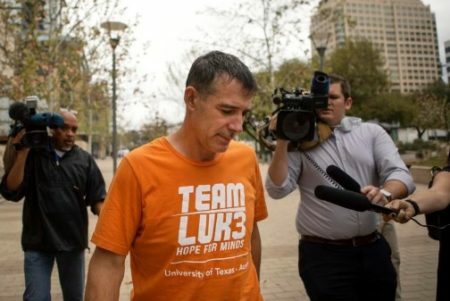 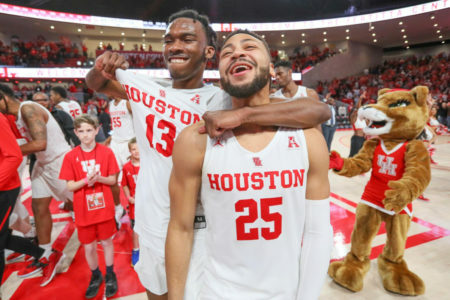 “Most of the players are used to being in a closed coliseum or an arena, so it (takes getting) used to sometimes for some of the players,” said Bruce Haroldson with Connor Sports, which installed the basketball court here for the Final Four. 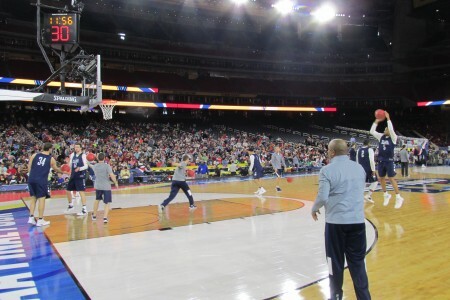 University of Oklahoma coach Lon Kruger said his players weren’t shooting so well during the initial practice but it soon got better. 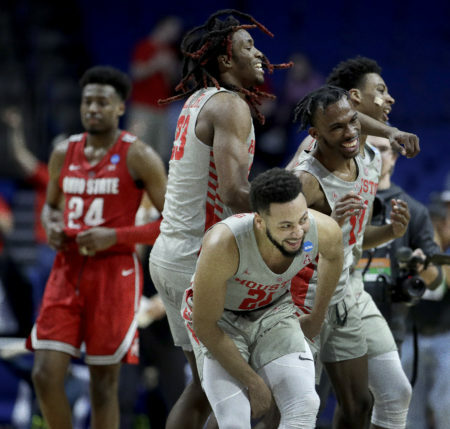 “I think the players came away from there comfortable that all those questions really, you know, were just that and really didn’t play into the way they shot it,” Kruger said. 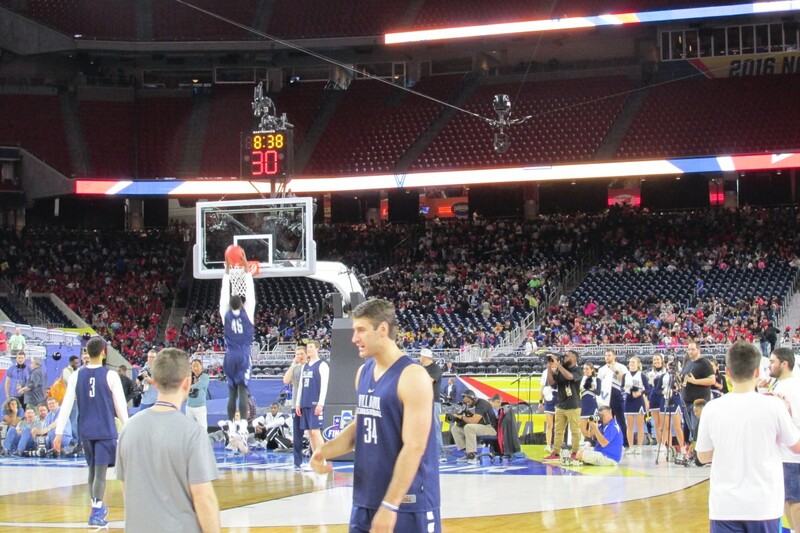 Oklahoma shooting guard Buddy Hield said he is not concerned at all. 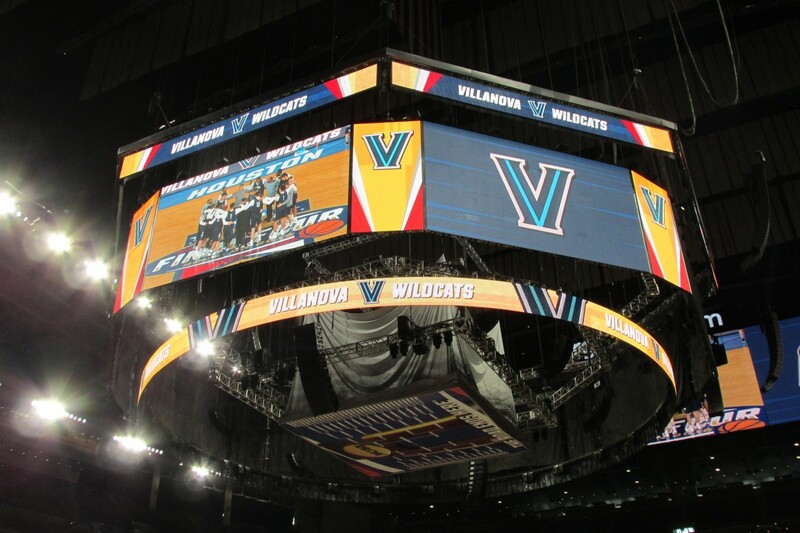 Oklahoma and Villanova will start off the Final Four Saturday at 5:09 p.m. at NRG Stadium, followed by North Carolina and Syracuse. 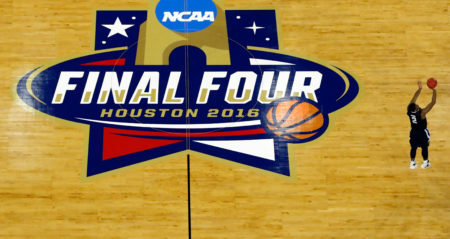 The winner of each game will play in the championship game on Monday.